No, there’s no hidden catch here. No buy one get one free, no ‘just paying taxes’. 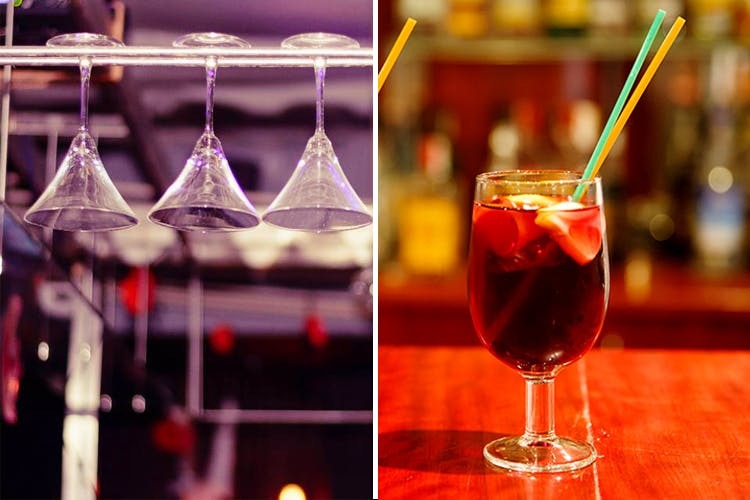 Soda Water in Andheri West gives unlimited free Sangria to ladies on Wednesdays from 9:00 PM to 11:00 PM. Read more for further details. Chilled sangria with freshly chopped fruits will light up your evening perfectly. If you want some food to accompany your drinks, go for their chakna platter which has salted, plain and masala peanuts, popcorn and Cheeselings. You can also try their Kung Fu Wings. They are lit! If you are badly craving some Sangria, red or white, hold that desire for a few more days and head to Soda Water this Wednesday to enjoy wine like never before without paying a single penny for it. It’s on the house, baby!